On average, children in India under five are watching more than two hours of television a day. Access to mobile phones and new age online games and computers are making our kids into gadget addicts. Doctors say children who spend long hours in front of gadgets are increasingly showing signs of postural deformities, emotional detachment and are vulnerable to mental illness. Let’s not point fingers at each other, but act immediately and look for alternate options to get them off these gizmos. With play areas shrinking, increase security threat in leaving kids alone outside and lack of time with both parents working, best thing parents can opt for is ‘Activity based subscription boxes’. Playing is how children learn. Play comes naturally to children. Combining learning with fun filled exercises like performing science experiments, making robots and creating their own tools and gadgets would help children to pick the laws of chemistry, maths and physics with ease. And also creators of these boxes have packed these up in such a way that children will get the required fun, excitement and surprise element. 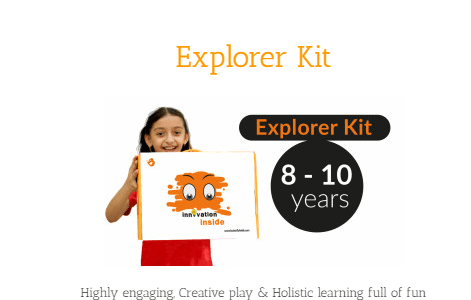 Xplorabox provides subscription based activity box for kids in the age range 2-4 years, 4-8 years and 8 year plus. For toddlers they provide 5 games and various DIY activities in each box, according to the theme. 4-8 years will receive five games every month that could help in developing skills like motor, cognitive, play & social skills. Kids above 8 years will get DIY science and technology boxes. There boxes are prized little above 1000, but they give great discounts if one opts for 3 month or 6 month package. Cofounders Rishi Das and Shweta Das believes that their toys could stimulate children’s creativity and fosters their imagination. 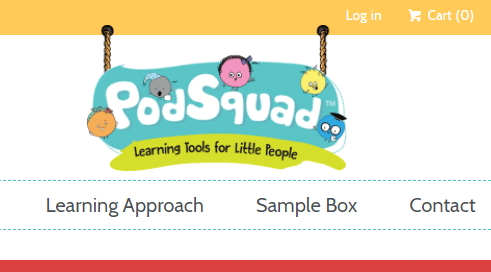 PodSquad is another activity based subscription box for children aged 2 to 8 years. There activity boxes are curated by experts, approved by teachers and tested by kids. They have designed there learning materials based on Howard Gardner’s Theory of Multiple Intelligence. It is designed by Quadrum solutions, which has more than a decade of experience in creating books for some of the world’s largest publishers across India, USA, UK and Africa. They have activity boxes from prize range of 300 plus. One could even opt for 3 month or 6 month subscription mode. Also subscribers can avail their digital platform solutions like e-books, free printables, newsletters, games etc. Butterfly Fields offers Learning-by-Doing science kits to students. To ensure that kids benefit fully from their products, their models are mapped to curriculum. Each ‘activity box’ comprises of – a story guide, an activity worksheet, a real life document and a concept map. There products are useful for kids from 5 to 15 years. Butterfly Fields is an IIT-IIM alumni initiative. They have activity boxes from prize range of 450 plus. Genius Box kits are designed for kids in the age group of 2 to 7 years. These boxes are designed in such a way that it can enrich and stimulate young minds and also support overall personality development. 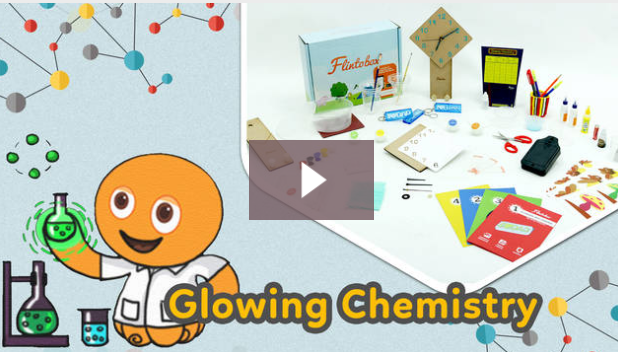 Once parents subscribe to Genius box, they will receive each month a kit filled with 9-10 hands-on activities, books or games, along with high quality supplies and easy-to-follow guide. They offer activity boxes at a prize range of Rupees 1500 to 2000. Einstein Box is for kids in the age group of 2 to 6 years. The content of the box is devised in such a way that it will inculcate in kids love for books, help in developing logical and problem solving skills and also encourage good habits and behavior. In each months kit parents will receive two story books, 3-4 learning activities and a parent guide. They have activity boxes from prize range of 400 plus. 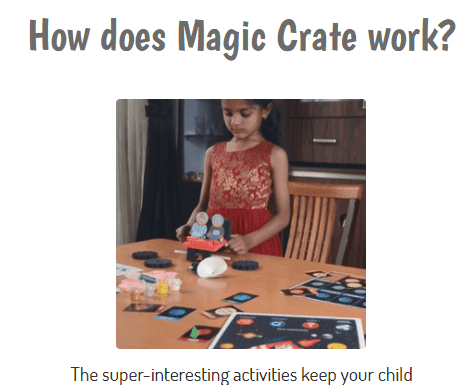 Magic crate is a very popular ‘activity based subscription box’. Magic Crate caters to kids in the age group of 1.5 years to 12 years. 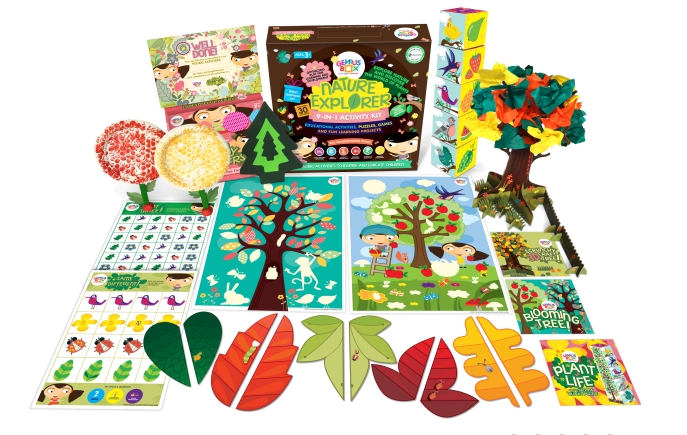 The activity box provides fun activities based on science, arts, role play and games. They test their products within a community of parents before releasing it to public. The box is available in three formats – Three month subscription plan @Rs 733/box, six month subscription plan @Rs 666/box and 12 month subscription plan @Rs 599/box. Flintobox is the pioneer of ‘activity based subscription box’ in India. The boxes are crafted keeping in mind the developmental needs of kids in each segment. Flintobox came into existence in 2013 and have been able to gain market acceptance. The company ships around 10000 boxes every month. 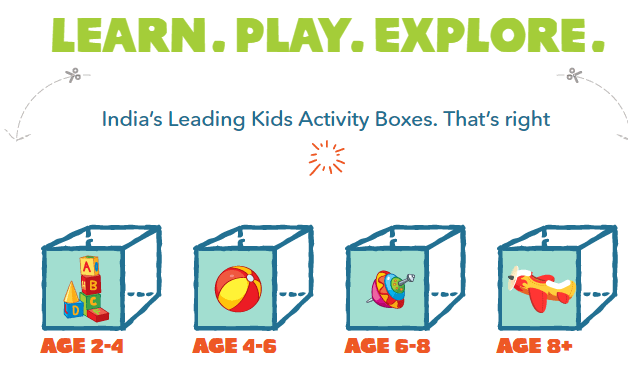 Each activity box will have in it 3-7 play-based activities along with easy-to-understand manual. The box is available in two formats – Three month subscription plan @Rs 795/box, six month subscription plan @Rs 695/box. Now Flintobox is available through smartphone too. This is the age of Robotics and Artificial Intelligence. Children, especially those in the age group of 10 + are fascinated by robots and robotics. SP Robotic Works provides great platform for kids having interest in Electronics, Mechanics, Programming and Algorithm. 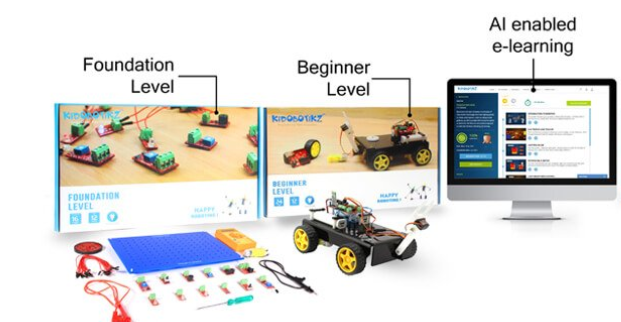 Children can choose any of the four boxes based on which level they are with respect to Robotics knowledge – Foundation level, Beginner level, Advance level and Expert level. The team also provide assistance in learning through 3D, 2D animation videos, real-life examples and interactive activities. Since it involves lot of gadgets and boards, it’s little pricey. Foundation level costs Rs 6500. Dear Parents would love to hear from you. Which is you favorite ‘Activity Based Subscription Box’. Do let me know if I missed any, would love to add them to this list. Share your thoughts in comment box. this is an amazing list. I would love to get them for my child. I always look forward for activity based learning ideas. These sound so much fun for kids! I wish I got a chance when I was a kid! Thats nice. Ita easy to compare the boxes now. I am thinking to pick a few for my son aa well. This is a good post, Hena. It is better to involve kids in something productive than let them waste their time with gadgets. These are some better option for kids to grow their mental ability. All these boxes are creatively made according to age and choice. I am also thinking of trying some for my kids. Thanks for sharing this. Perfect, have experienced Xplora Boxes and Flinto Box and loved them both. Activity based subscription boxes are the best.Unique games to keep children happy. really a good post. I am very interested in these subscription boxes. “Noisy Newton” is an innovative player in this segment and different from all the above. Very immersive activities & designed for applied thinking. This is great , and it have such a subscription boxes..
Looks like all the activities are instructions based, following a manual. Are there anything where a kid can explore, be creative and imaginative and not be linked to academics. I want my child to have fun. Thanks for the information, This blog helped me find the best activity subscription boxes for my kids. I found Podsquad offering exactly what I needed. I got slime delevered from Podsquad and its really excellent quality. Thanks again.